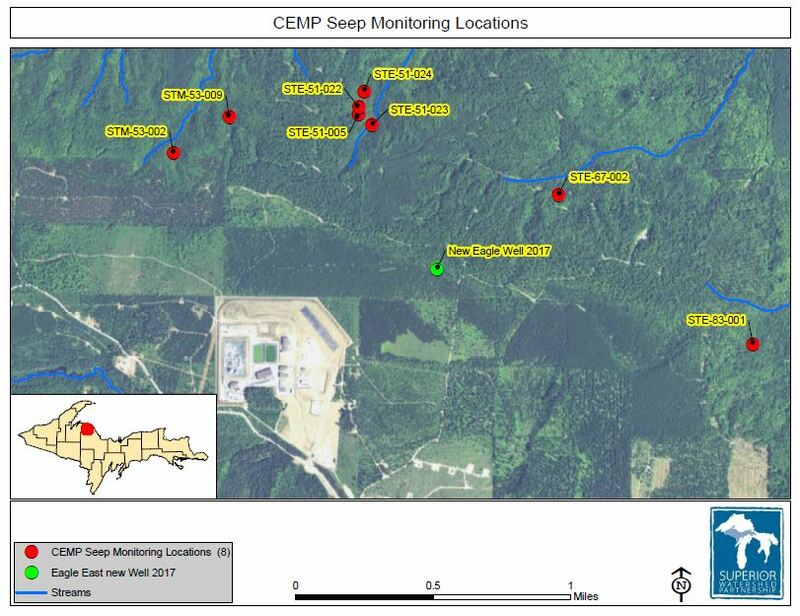 During 2017, CEMP in cooperation with the Keweenaw Bay Indian Community (KBIC) began water quality monitoring at 8 sites in the headwaters of the Salmon Trout River. The headwaters of the Salmon Trout River begin as “seeps” or natural springs at locations where groundwater daylights and becomes surface water (see map of sites). Results of the monitoring will be used to assess potential impacts from mining activities to the Salmon Trout River. Please contact SWP for questions or comments on the additional monitoring locations at (906) 228-6095 ext. 13, or geri@superiorwatersheds.org.